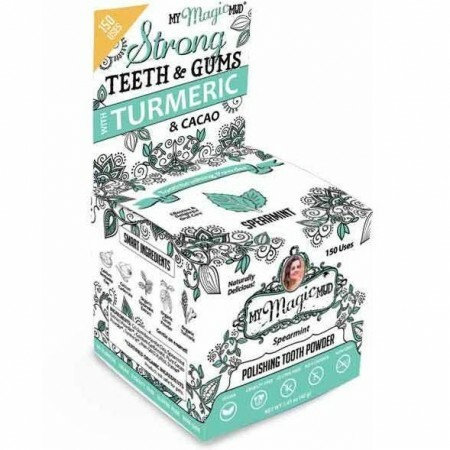 A turmeric and cacao tooth powder to clean, polish and whiten your teeth. 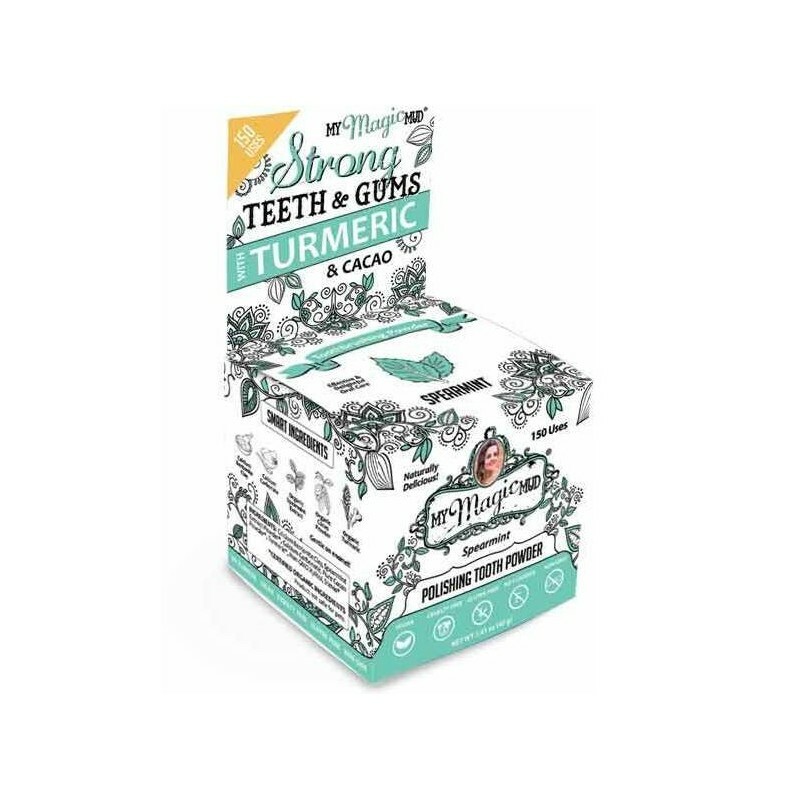 Gives you a deep clean, a calming sensation and kissable breath without worrying about toxic chemicals found in many toothpastes and whiteners. Spearmint flavour. calcium bentonite clay, spearmint extract powder*, calcium carbonate, pure cacao powder*, turmeric*, non-gmo xylitol, stevia*. *Certified organic ingredients.